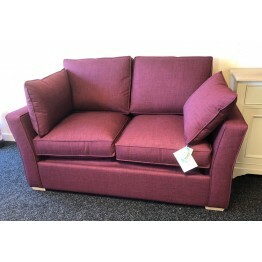 In our showrooms we sell lots of different manufacturers and brands of furniture. New ranges are always being launched and new fabrics or leathers too. So for this reason we often have showroom model sofas and suites available to clear at very keen prices so we can keep up with these changes. This page shows you the current Gallery Direct & Hudson Living ones that we have, but stocks are always altering so if you are looking for a bargain and a quick delivery keep checking back. 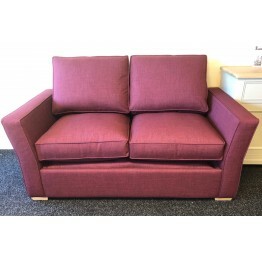 Although these suites are in the showroom they aren't faulty or damaged at all, they are simpy showroom models which have occasionally been sat on by our discerning instore customers..... so no need to worry about the condition of the sofas and chairs, they are all A1. We offer free delivery across mainland England and Wales with our experienced and trained delivery teams and we can even arrange to take your old suite away too. If you wish to talk to us about any of these items, or indeed anything else regarding Gallery Direct (Hudson Living) furniture then please feel free to call into our store or phone us on 01283 740004. Our showrooms are Haynes Furnishers, 72 High Street, Burton, DE14 1LD and you'll find Peter, Steve and Carl ready to help you. If none of these items suit your requirements then please take a look at the full ranges of Gallery Direct furniture we can supply for you by clicking here. 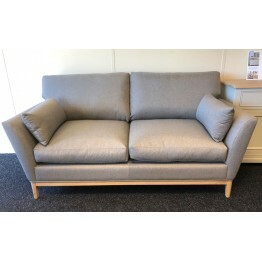 This is one of the Hudson Living Sofabeds supplied to us by Gallery Direct. It is called the Colefor.. 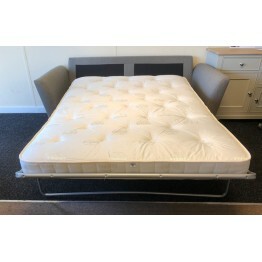 This is one of the Hudson Living Sofabeds supplied to us by Gallery Direct. It is called the Norwood..